SpaceX is Elon Musk’s rocket firm that is now known for having the first rocket that has now landed successfully and then reused for another mission. 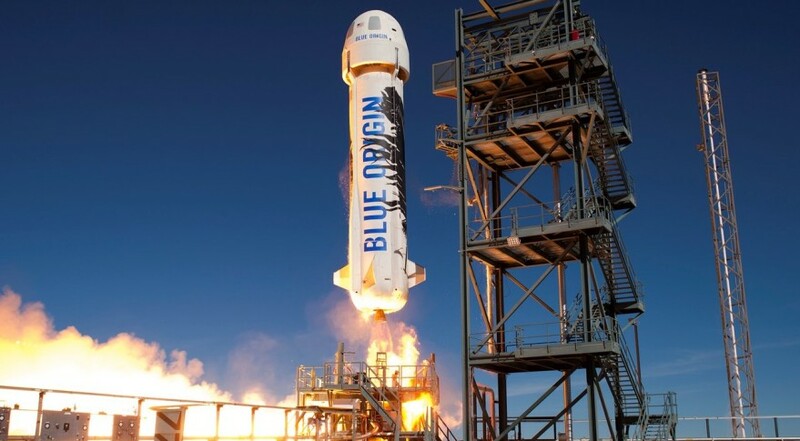 However, creeping up its tail is Amazon.com founder Jeff Bezos’ Blue Origin. Blue Origin launched and landed a New Shepard rocket for the first time since October 2016 at their launch facility in West Texas. The launch, which took place Tuesday, December 12, was the first of a new rocket booster and the company’s Crew Capsule 2.0, which has been upgraded from a previous test capsule by adding large windows and some internal amenities. Ultimately Blue Origin plans to use the New Shepard rocket to launch paying customers on suborbital flights to space. The seventh flight of New Shepard was the first flight of a new rocket booster, the third Blue Origin has built. The capsule achieved an altitude of 326,075 feet (99.39 kilometers), which is just shy of the internationally recognized boundary for space at 100 kilometers, known as the Karman line. The booster then returned for a propulsive vertical landing and the capsule landed using a parachute. Competition – you gotta like it! And I wouldn’t count out Virgin Space yet, either, even as they haven’t made much news lately. This entry was posted in National News, Transportation and tagged Amazon, Blue Origin, Elon Musk, Jeff Bezos, Space X. Bookmark the permalink.